I went to Greenwich just to meet friends and lie in the park. It was a Sunday, the weather forecast had promised some bursts of sunshine, the people I was meeting up with were hungover: it seemed like a good day to lie back and look at the sky. 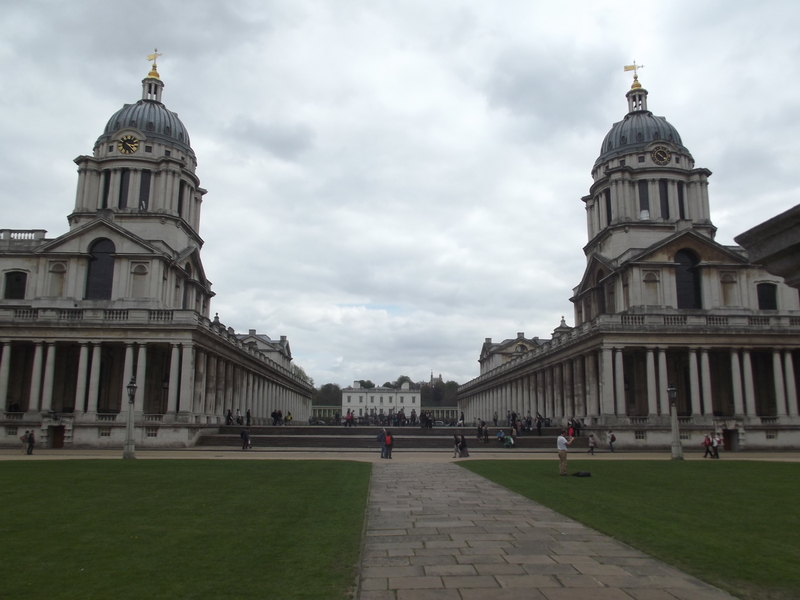 From the very start I was impressed with Greenwich. Who knew that behind the concrete and glass expanse of Canary Wharf, and beyond the white hunchback of the O2 arena, lay a little piece of old, green London. The bus dropped me off outside the National Maritime Museum. Like most great British museums, it was free to enter so I could wander into the entrance as I waited for my friends. I even had a perfectly pleasant chat with a non-creepy man who’d been sat outside the museum reading his book. For a moment I was convinced I wasn’t even in London; I had stumbled into some wormhole that had dropped me somewhere oop north, where the people are friendlier and the grass is greener. But no, this was Greenwich. 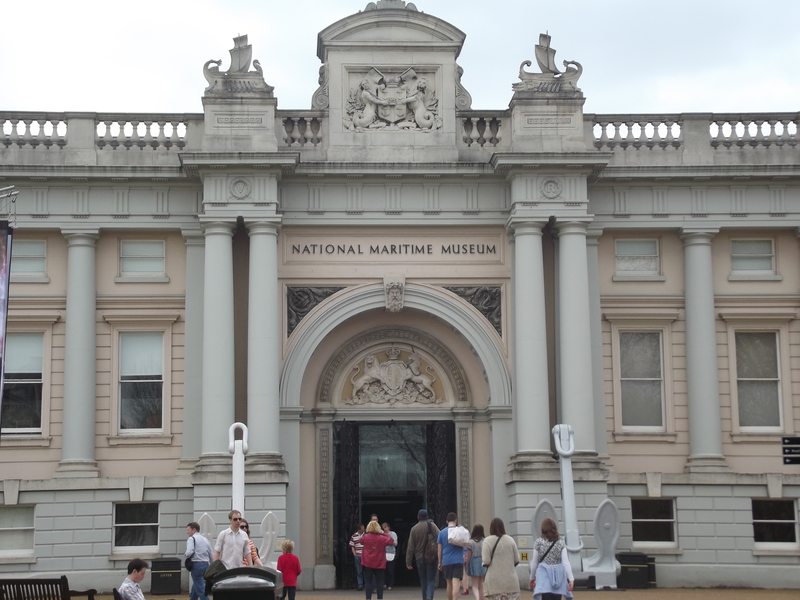 The National Maritime Museum is just the tip of the iceberg in this area which has UNESCO World Heritage Status. There’s the Royal Observatory, The Queen’s House, the Cutty Sark, Greenwich itself…all of which I just couldn’t fit into my fleeting visit. I contented myself with marvelling at the beautiful National Maritime Museum building, then finally met up with my friends to do some sleeping on the grass. The view from even half way up the hill of Greenwich Park is a staggering example of old meets new. 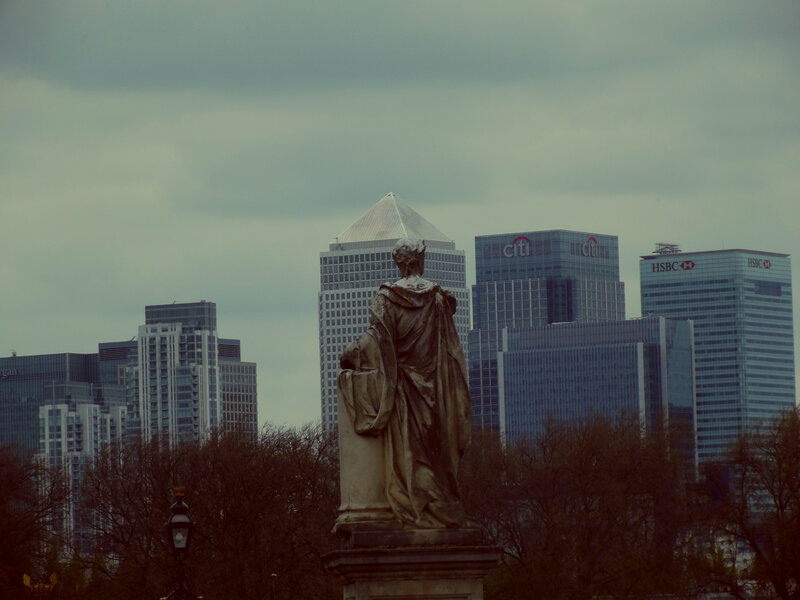 Over the tops of the old Maritime Museum buildings, the tall glass pillars of Canary Wharf are clear to see huddled up against each other. The museum itself – when we raised enough energy to explore it – was interesting enough. I think Britain’s naval history is a relatively intriguing topic, but since I’m not the biggest fan of water I can start to feel a bit panicky and seasick even at the sight of landed boats. Still, it was rammed with families and there was plenty of soft swords and pirate hats for the kids (and us excitable ‘adults’) to be entertained. The friends I’d arrived with had to be somewhere else, so we waved goodbye at the bus stop. My bus had seven minutes to arrive and I didn’t fancy hanging around next to the main road. 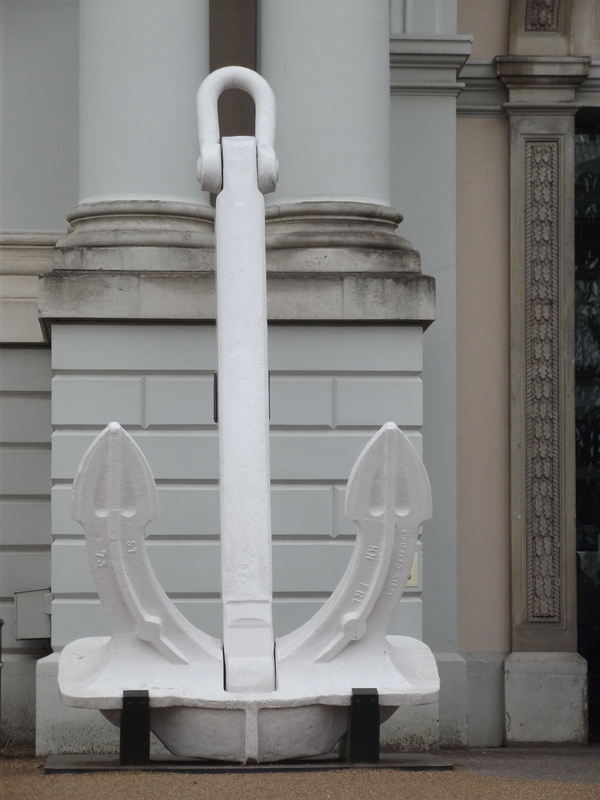 Plus, the building across the road from the Maritime Museum had caught my eye. I didn’t even know if I could get close enough to explore, but I was intrigued. I thought I’d give it a go and get a later bus. This was when I stumbled upon, in my opinion, the real gem of Greenwich’s crown. 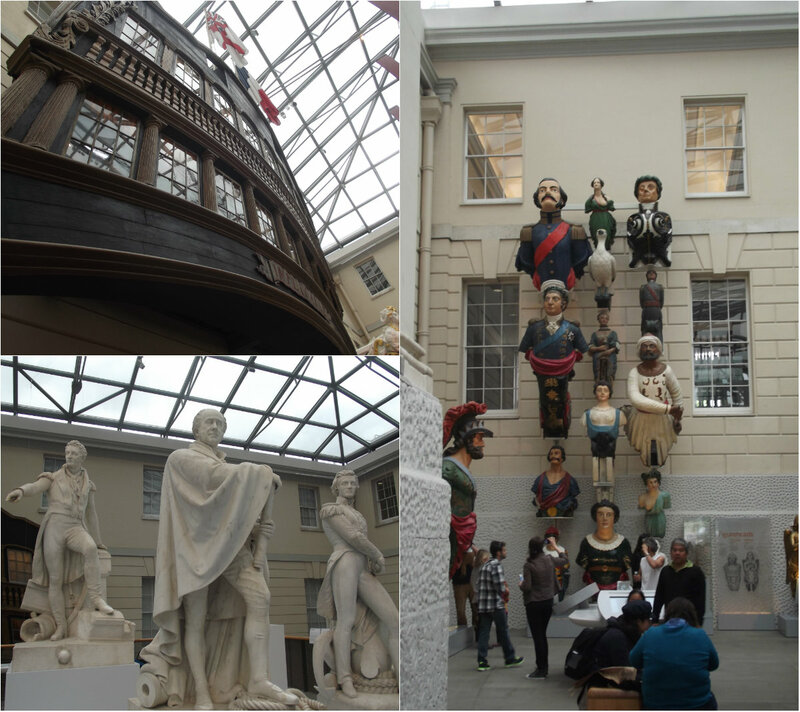 The Old Naval College is without a doubt one of the most amazing historical sites I’ve seen in Britain. In its first incarnation (known then as Royal Hospital for Seamen at Greenwich) it was built to model Les Invalides in Paris. It was later updated by Henry VIII, who wanted something to rival the sophisticated and elaborate buildings of the French and Spanish courts. He certainly didn’t do a bad job. 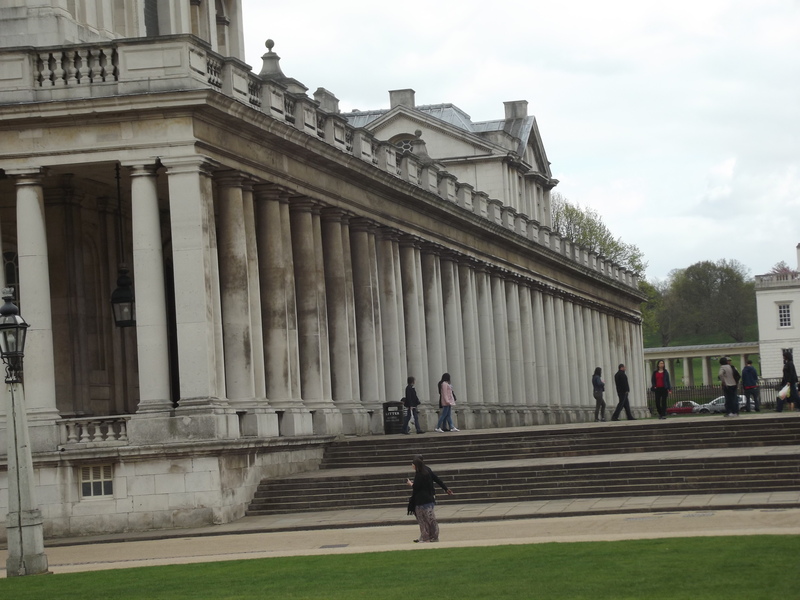 The college is made up of roughly four main buildings that extend – two down each side – like arms from the road at the bottom of Greenwich Park out onto the water. Down the middle run beautifully tended lawns, and cutting horizontally through the middle is a broad pathway that runs from the East to West Gates. It separates the two buildings on each side with two wide sets of steps, meaning the college gradually sinks down towards the water. In fact at the very end the Water Gate opens out onto the Thames river path, no doubt an amazing place to enter the college grounds. Wandering amongst the buildings themselves was like stumbling upon a part of Oxford in London. Huge yet ornately decorated, impressive and regal yet clearly well-loved and used; I was so surprised. There were clusters of people here and there; on the lawns by the West Gate people sat and chatted by the bubbling foundations. It reminded me of a Parisian park on a Sunday afternoon. I continued exploring, and I’m glad that I did. I hung around outside a chapel for a while, worried that I’d stumble upon something I’d have to pay for, but I eventually snuck inside. Like everywhere else in the Royal Naval College there was a friendly presence of staff, there to answer questions. But they didn’t press you for money or glare at you for stepping where you weren’t supposed to. A friendly sign even welcomed you to take photo of the chapels delightful interior, but reminded you to turn your flash off. There was a wedding going on in the Painted Hall which sits directly opposite the chapel on the other side of the lawn. I watched for a while as the bride and groom posed for photos; I couldn’t fault for them for their choice of backdrop. I spent so much time at the Old Royal Naval College that it was a good hour or so later than I had intended before I slipped onto a bus back to the tube station. 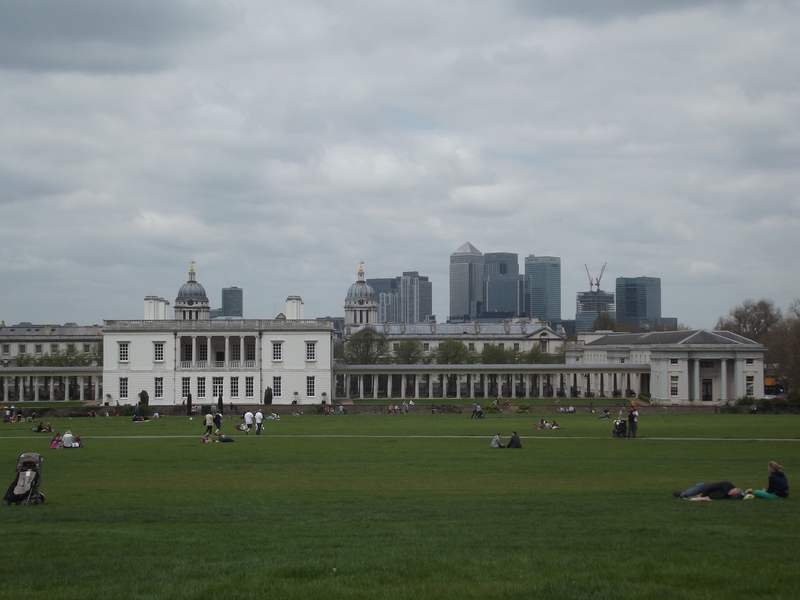 Whenever I’d heard about Greenwich I’d thought of the park, the Maritime Museum, and the quaint town centre. 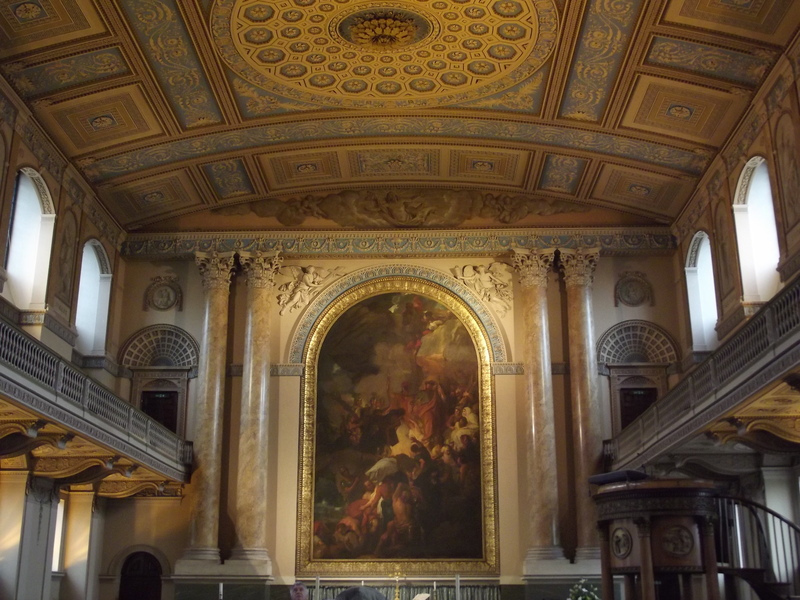 I’d never expected the majestic Old Royal Naval College. Stumbling across it by myself with my camera just seemed like fate, and made it all the more special. Sometimes it’s when you’re not looking that you find something amazing.